Find out how to add a lesson to the library and set permissions to restrict it to a group or user. The On Demand Library allows users to watch selected lessons on as “as required” basis, i.e. they do not need to be scheduled to a lessons in order to view its contents. First, select the lesson required then click [Details]. Note: Only Published lessons my be added to the Library. 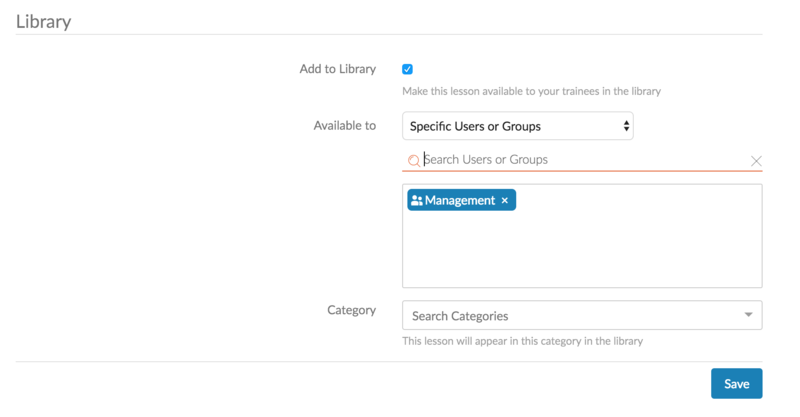 On the Lesson Details screen, locate the Library Settings area near the bottom of the page. In here, there is a checkbox labelled "Add to Library". Select it to add the lesson to the Library. By default, all users are able to see the Lesson. If you wish to restrict it to certain users or groups, you can do so by searching for them and selecting them. When you have finished, hit "Save" to save your changes. In the above picture, only users belonging to the "Employees" group, as well as Robin Hood, can see this lesson in their Libraries. Once added, a book symbol will appear next to the lesson's Status. At any stage you can return to this page and alter the users who can see this lesson. 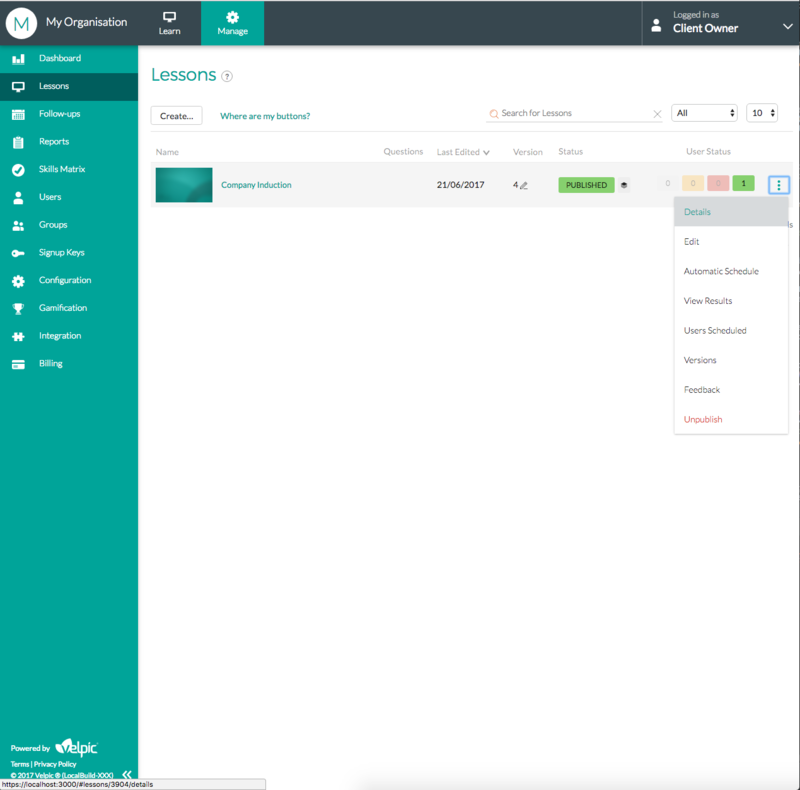 Removing all users from the selection will once again enable all users to see the Lesson. To remove the lesson from the library, simply uncheck the Add to Library Checkbox and hit Save.